Just when you think you’ve seen it all, the all-new MINI Paceman arrives on the block. 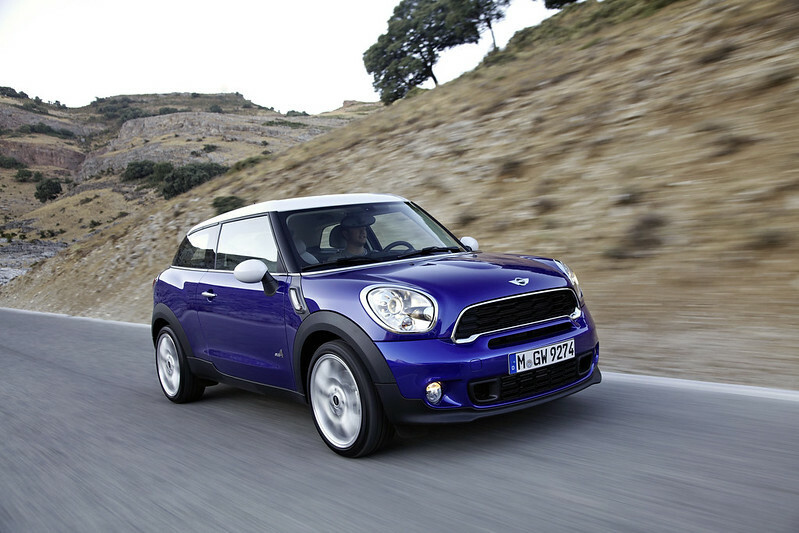 With all the driving excitement of a Sports Activity Coupé and the hallmark MINI go-kart fun driving experience – the seventh addition to the MINI family is set to turn heads when it goes on sale in the Middle East this month (March’2013). From the word ‘go’ customers can choose from four powerful engine variants including the Cooper, Cooper S, Cooper S ALL4 and from June, the John Cooper Works will also then be available. 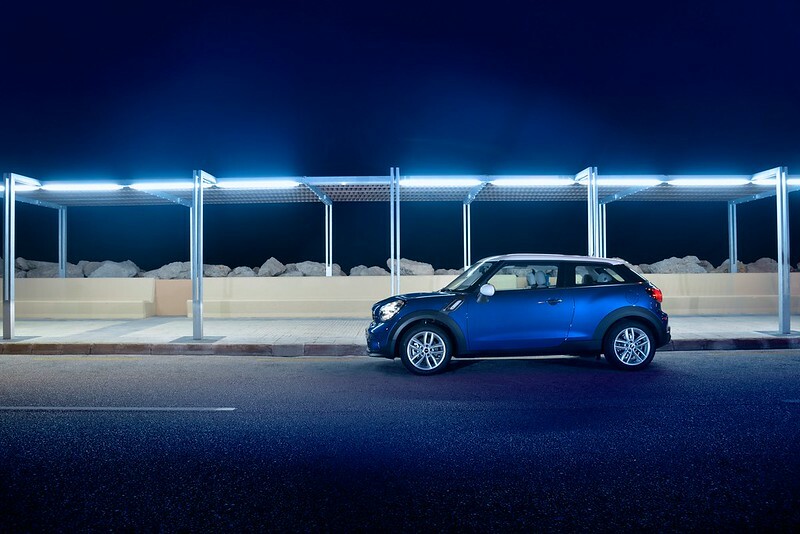 Endless exterior and interior customisation options will also be available to ensure that the MINI Paceman suits their individual lifestyle needs. And with plenty of room for three passengers, MINI Paceman owners can escape from the urban jungle with three friends in tow too. The seventh model in the MINI family has a unique character all of its own, while displaying clear ties to the inimitable style of the British brand. On the outside, the MINI Paceman offers a unique combination of sporty and extrovert design with two elongated doors, large new horizontal taillights and sloping roofline. The fresh and individual character of the MINI Paceman comes across most prominently when the car is viewed from the side. It is also highly customisable, and available in eight body finishes and a choice of seven light alloy wheels in four colours. The roof and exterior mirror caps can be painted in the chosen body colour, white or black. 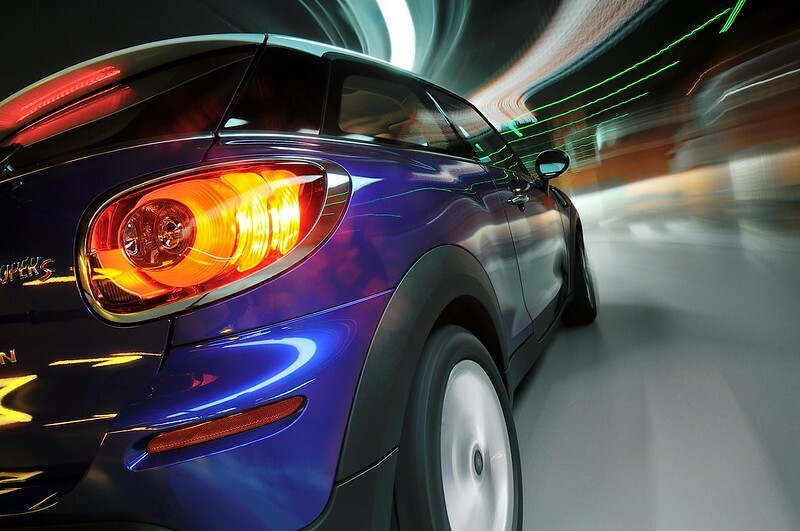 The MINI Paceman takes the lead when it comes to in-car technology and entertainment. When on board the advanced interface technology allows the extensive integration of smartphones and music players into the car. And the newest member of the MINI family can even be ordered with a range of MINI Connected features, which include features such as the Web Radio which allows you to tune into your favourite home country radio station, plus specially developed apps which open the door to a unique and constantly expanding variety of functions such as Facebook and Twitter usage. Under the bonnet, the well-known MINI 1.6 litre powertrains will be available from launch, each with four cylinders and a zesty power delivery and remarkably low fuel consumption and emissions. The high-powered engine boasts lowered sports suspension as standard, which accentuates the trademark MINI go-kart feeling. 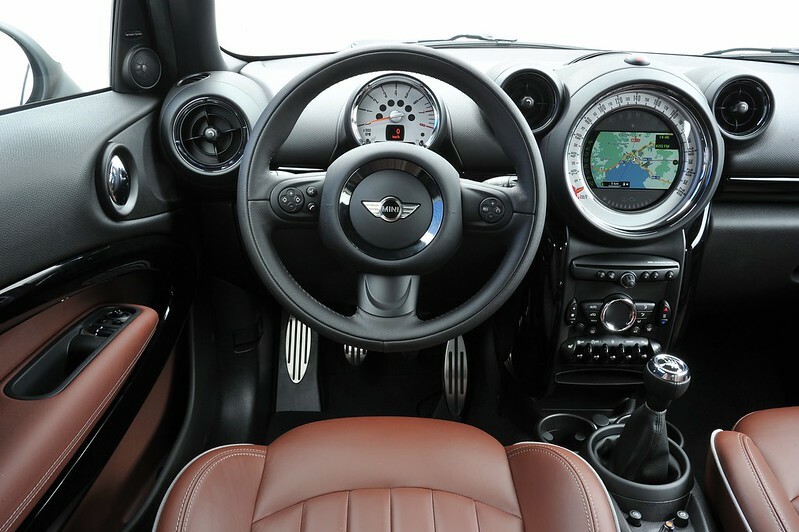 All engine variants, which include the MINI Cooper and Cooper S, come with a six-speed automatic gearbox, with an output spread from 122 hp to 184 hp respectively, ensuring that the MINI Paceman gives passengers the drive of their life. 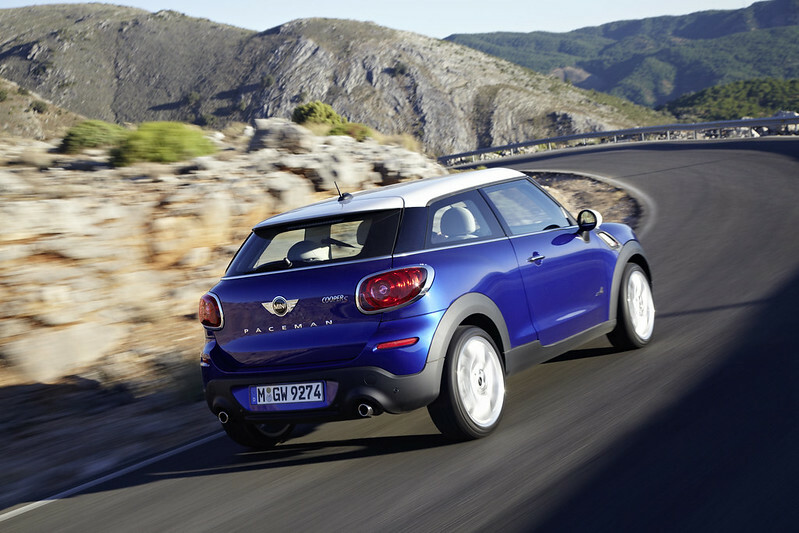 The MINI Paceman will be the second model (after the MINI Countryman) to offer the option of ALL4 all-wheel-drive system on the Cooper S variant, which allows the driver to switch from automatic to manual at the touch of a button. From June a MINI John Cooper Works MINI Paceman model will also be available with a 208 hp output, lowed sports suspension and 18 and 19inch alloy wheel options. Paceman which is equipped with front, side and full length curtain airbags. Front seat occupants also benefit from belt tensioners and belt force limiters, while the rear seat, ISOFIX child seat attachments are fitted.